Price History for Graphique Hanging Flowers Hard Bound Journal w/Watercolor Flowers on Cover, Beautiful Introspective Journal for Nature Lovers and Gentle Spirits, 160 Ruled Pages, 6.25" x 8.25" x 1"
Graphique Hanging Flowers Hard Bound Journal w/Watercolor Flowers on Cover, Beautiful Introspective Journal for Nature Lovers and Gentle Spirits, 160 Ruled Pages, 6.25" x 8.25" x 1"
Wire bound and durable, our hanging flowers hard bound journal transcends the boundaries of traditional notebooks. 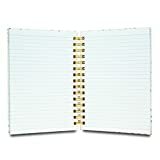 With 160 ruled pages, this daily writing essential offers plenty of space to keep your notes, homework, and to-do lists. Graphique's hard bound journal features a delicate, colorful shock of watercolor flowers draping across the cover. Embellished with gold foil, this floral journal is an elegant, relaxing alternative to scribbling on scrap paper. 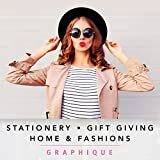 This gorgeous 6.25" x 8.25" x 1" spiral-bound journal is protected with a durable hard cover and proudly displays Graphique's knack for producing fresh, innovative designs. 160 ruled pages printed on high-quality, off-white stock paper. 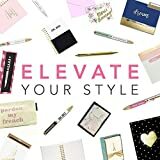 This quality journal is the perfect size and weight to carry as the ideal companion for to-do lists, taking notes, recording meetings, doing homework, or as a personal diary. 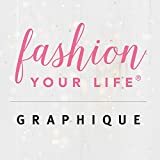 Graphique's hard bound journals are designed to be pleasant to the touch, a delight to turn their pages, and assembled with visually-striking artisanal designs. Interested in the Graphique Hanging Flowers Hard Bound Journal w/Watercolor Flowers on Cover, Beautiful Introspective Journal for Nature Lovers and Gentle Spirits, 160 Ruled Pages, 6.25" x 8.25" x 1"? Is the price too high? You can easily price watch this product and we'll notify you when the price reaches your target.